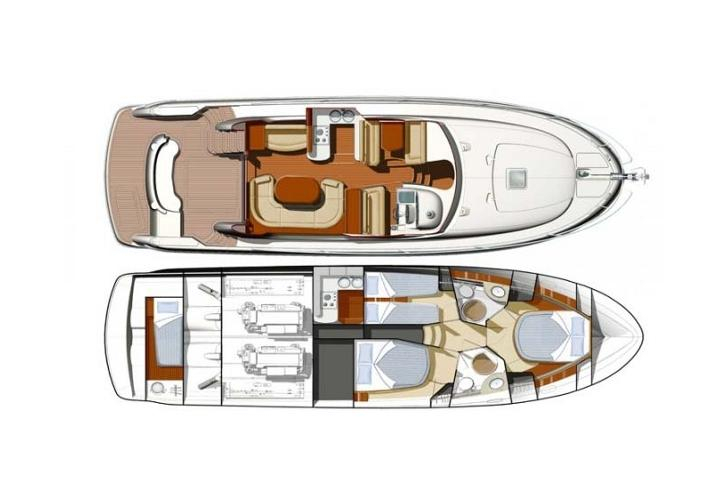 Why Worry is a name of yacht Jeanneau Prestige 46 ,which has been manufactured in 2008. You can charter this boat from port Split in area of Split. Why Worry is equipped with 8 sleeping places. Beds on the sailboat are arranged in 8 (6+1+1) scheme. 4 cabins are located inside the sailing boat Why Worry. 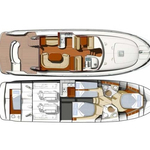 Use our website to find more yachts by opening this link: Motorboats Split. Guests can feel good on this vessel , because there are 2 heads with showers for their disposal. Why Worry is supplied with motor 500. Yacht's dimensions are: lenght - 14.55 m , beam - 4.36 meters and 1.2 meters of depth. On the boat you can make use of following equipment: Plotter gps in cockpit, Autopilot, ipod system, Gps plotter, Air conditioning, TV, DVD player, Radio cd mp3, Bed linen, Towels, Dinghy, Hydraulic gangway, Bimini top, Anchor electric windlass, generator, Microwave, Bow thruster, First and last night in marina free of charge. . Caution is 5000.00 EUR. 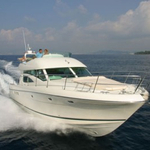 In our search engine you can easily check avalailability of yacht Why Worry from Split by clicking on this link: Motorboats Croatia.